bluechem’s powermaxx Fuel System Cleaner is a high performance fuel system cleaner that removes operationally caused contamination in the entire fuel system, from the tank, through the fuel line & into the combustion chambers. 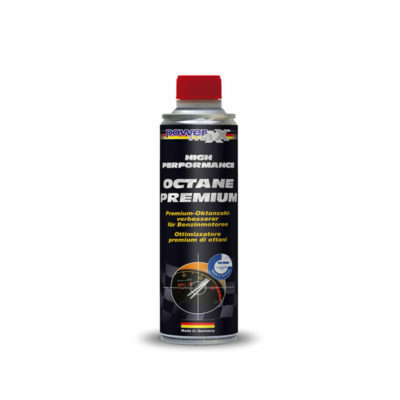 It removes resin and stickiness from the carburetor and fuel injection nozzles as well as removes further carbon residues and soot deposits within the entire upper cylinder area. 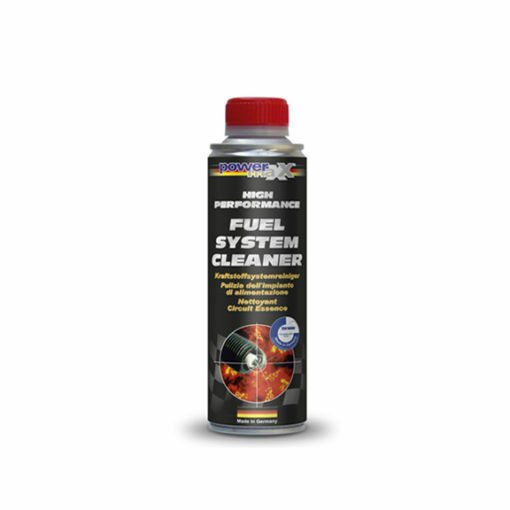 The Fuel System Cleaner is not a typical flush, the nano technology breaks down the carbon & deposits on a molecular level and then is ejected through the exhaust system. Humidity & water are also eliminated from the fuel system. The water binds with the Fuel System Cleaner and then burns out through a smooth stable combustible emulsion via the exhaust, and at the same time it lubricates and protects the upper cylinder area. 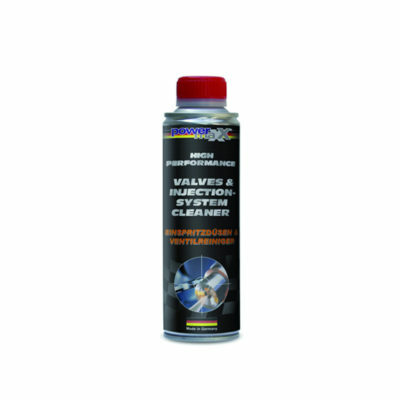 Check out the video below the page to see the commercial on the Fuel System Cleaner. Motor vehicles, buses, tractors, semi-trailer trucks, motorcycles, and any other high performance engines that uses unleaded gasoline. (e.g., ships and boats, racing motors, etc. even Go-Karts and lawn mowers!). If spilled onto paintwork surfaces, rinse off immediately with clean water. Fuel System Cleaner is not a fuel back-up; it burns with the fuel and ejected through the exhaust system. 300 ml will work well up to a 25 gallon gas tank. I had heard of many competing products in the past but never tried them due to being unsure if they are “the real deal” or “snake oil”. Joseph promised that I would be impressed (a bold statement) and he reassured me that the fuel system cleaner would be safe on my engine. Since the products are TUV certified, I took the plunge and ran it through my 5.7L V8 Ram 2500 with 45,000 miles in accordance with the instructions on the bottle. There is a clear and unmistakable difference in the engine feel after running the fuel system cleaner. Some describe it as feeling smoother and I think that is accurate although I found that the engine seems to rev/spin more freely, especially from a dead stop. You’ll notice you have to be more precise and back off slightly from how much you usually press the accelerator pedal. Ultimately, Joseph was right. I am impressed. Good stuff! This is the best product of its kind I’ve ever used. I had my oil and filter changed at Mando’s Import Auto in Spring Branch. I added the Fuel System Cleaner an hour and half before the oil change and then added the Oil system cleaner right after to my Expedition. Mando’s has what you need. Amazing results and performance. I’m going to try the Nano Engine Super Protection next! I have a 2007 R56 on it’s second N14 engine (blew first engine @119K miles). I added the Fuel System to my new engine @30-35K miles and noticed an immediate change in throttle response! It feels as if the Sport button was engaged the whole time but it wasn’t. And when i disengage Sport I don’t feel a drastic decrease in power as before, it’s slighter than usual. It also smoothed out my rough idling. This is my 2nd Mini and have to say that I was very impressed and wished I had this years ago. I own a 2013 Mini CountryMan and recently used the fuel system cleaner in my car. I had felt through time a loss of power in my Mini and was frustrated since I’ve a spent a lot of money on spark plugs, coils, and other fuel additives, but my Mini still was sluggish. Finding this product gave me confidence in being proactive without needing to spend $170 for a fuel system clean at the dealership. I poured in a can on an empty tank and fueled up. I could feel it working and the more i drove the car the better it has felt. This product definetly restored power to my mini that it had lost over 50K miles I’ve put into it. My car currently has 66,652 miles and I bought it with only 3k miles. I immediately felt the smooth turning of my car and the punch that it was missing from years of road action driving around Houston from Sharpstown to IAH. When seeing my friend’s satisfaction with what bluechem Fuel System Cleaner did for his 5 series BMW I had to try it on my 2007 VW Jetta Wolfsburg Edition. After a day of driving, I could feel that the engine was running smoother and with more power. I immediately bought the bluechem Oil System Cleaner and took my car in for a oil change. Again, I could feel the improvement in the performance of my car’s engine. The difference was obvious and damn near immediate. Three months have passed and my Jetta still drives with more power and pick up then before I added the bluechem products. I highly recommend it! I tried the bluechem powermaxx fuel system cleaner gasoline treatment on my 2008 VW GTI w 145,000 miles and noticed a huge difference after. I will definitely use this product again. I have an 02 Mustang GT with 170K +. Of course, after 14 years I don’t feel the torque/power that I used to. Recently a friend turned me on to the powermaxx fuel system cleaner, oil system cleaner, and Nano Engine Super Protection and I can tell you that I’m digging feeling a solid V8’s power again. After the oil system treatment, my car’s idle sounded a lot smoother. After the fuel system treatment, I felt a lot more power in higher gear…and after the Nano engine Super protector, my car starts up in cold weather much much better than before. I highly recommend you pick up some of these products to have a better driving vehicle and to protect your investment.